Most people think that when it comes to moving, they have to do everything. They have to supervise, handle and micromanage every single part and tell everyone how to do everything. But, they are wrong. What usually ends up happening is that they simply frustrate people who would’ve done their job properly. Furthermore, they end up being too tired to properly do the things that they were actually supposed to do. 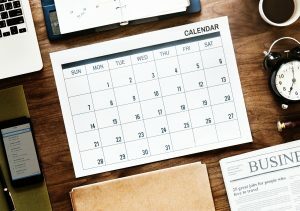 Well, to avoid that from happening, here are the best ways for you to contribute to your moving process so it goes without issues. Before you start working with your movers on your move, there are certain segments of the move that you can take care of your own. These parts of the move are tremendously important, and you definitely shouldn’t take them lightly. Simply follow our guidelines and you will make your move much easier on both yourself and your movers. Proper packing is probably the best way in which you can contribute to your moving process. Most moving accidents happen because of improper packing. Therefore, if you make sure that your possessions are packed properly, you will make your move much safer. 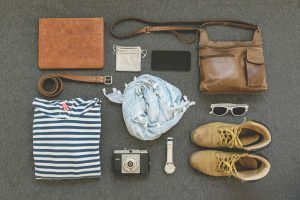 Start off by going over all the things you need to pack. Then you will need to get enough boxes to pack everything. Make sure that the boxes can fit both the items and the padding and wrapping that they might need. Carefully sort, pack and label everything, so that the movers can handle your boxes with ease. By doing so you will increase their productivity which will reduce your total cost. Proper packing is a great way to contribute to your moving process. Start dealing with it as soon as possible. Another way to increase your movers’ productivity is to clean your home. 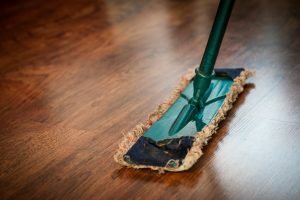 You will have to clean it after the move anyway, but if you do so before the move, you will make sure that there is no place for them to slip or trip. Make sure that all the paths that they are going to take in order to load your possessions into a moving truck are cleared. A stupid, little trip can easily lead to a broken bone and destroyed property. Tidy up your home and help your movers be as fast as they can be. It is one of the best ways in which you will contribute to your moving process. A clean home is necessary if you want to avoid moving accidents. Moving is a big project that no single person could ever handle on their own. Therefore, you most like will end up hiring affordable movers NYC to help you out. But, in order for them to do their job properly, you need to be aware of what you should do and what you shouldn’t do when working with movers. First off, you need to have movers that you can trust. That is more important than money or apparent quality of service. Your movers need to handle, transport and take care of your possessions. And there is no way you are going to let them do that if you do not trust them. Therefore, do your best to find the movers that are reliable and trustworthy. Start off by gathering information about all the local movers NYC. Then, you need to talk with all of them and get their quotes. Do not take the cheapest movers, as the quality of service is often reflected in the price. Get the movers that seem the most cost-effective. Those movers you will be able to trust with your possessions. Once you find the right movers you will need to make a plan. What you need to know is that the more time you give your movers the better the odds are that your move will have no issues. Furthermore, if they have enough time, they can figure out a way to make your move as cheap as possible. A lot of moving companies can handle the last minute move, but don’t try to do that if you do not have to. The moment you know that you are going to move, you should start looking for your movers. You can only give them too little time to plan your move. Never too much. The more time you give your movers, the better your move will be. Once you have made your plan with your movers, the best thing you can do is stick to it. Don’t rush anything, and definitely don’t be late with anything. If something has to be done in a specific amount of time, make sure to do it or to make it possible for your movers to do it. Any alteration to the original plans can setback your movers a lot, and you really don’t want that. They are probably handling multiple relocations at the same time, and if you change a part of the plan, you can create a huge problem. Think carefully when figuring out your moving plan, and once you have it figured out, stick to it as if it is written in stone. Another thing to keep in mind is to let your movers do their job. That is probably one of the best ways in which you can contribute to your moving process. That is, also, why you need to be sure that you have reliable movers working for you. They know much better what goes into relocation and what needs to be done. You, as a rookie, giving them advice, or even forcing them to do something in a way that you think is best will only frustrate them and make your move more difficult. 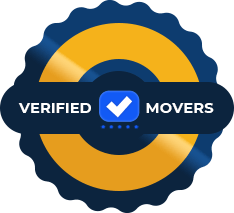 Get yourself some reliable movers and let them do what you are paying them to do. Do not micromanage you more, you will only make it worse.